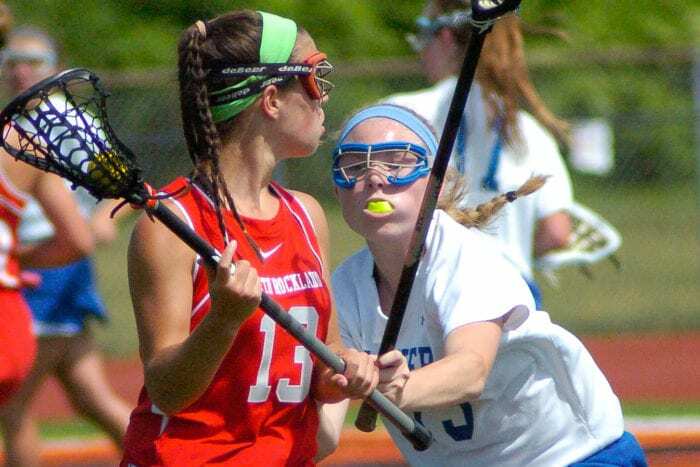 ROTTERDAM — North Rockland built a five-goal lead in the second half and held on for a 13-10 victory over Shaker in the Class A girls lacrosse regional final Saturday, June 4, at Mohonasen High School. Aleya Corretjer scored four goals for the Red Raiders, who overcame a slow start to lead 12-7 midway through the second half. Maeve Lennon tallied five times, and Kailey Dodd contributed a hat trick for the Blue Bison. Shaker defeated Guilderland 10-9 to win the Section 2 Class A title Wednesday, June 1, at Mohonasen.